From Academy Award-winning special effects makeup artist Rick Baker comes this haunting take on Batman's most twisted foe, The Joker. With a history of creating some of film's most iconic villains, Baker perfectly captures the Clown Prince of Crime's psychotic demeanor in breathtaking detail. 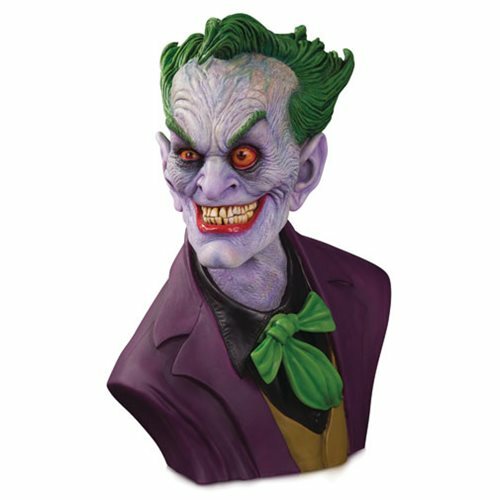 This life-sized 1:1 bust has been designed, sculpted and painted by Baker himself. This polyresin bust is the ultimate eerie statement piece from DC Gallery. 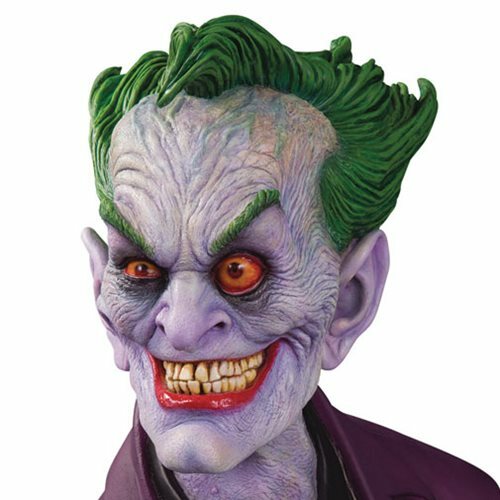 The Ultimate Joker piece is ready to wreak havoc in this extremely limited release Ultimate edition 1:1 scale bust. A limited Edition of 50 numbered pieces pulled straight from Rick Baker's own molds. The bust will also feature original deco as painted by Rick Baker. Includes certificate of authenticity signed by Rick Baker! Measures approximately 22 1/2-inches tall.